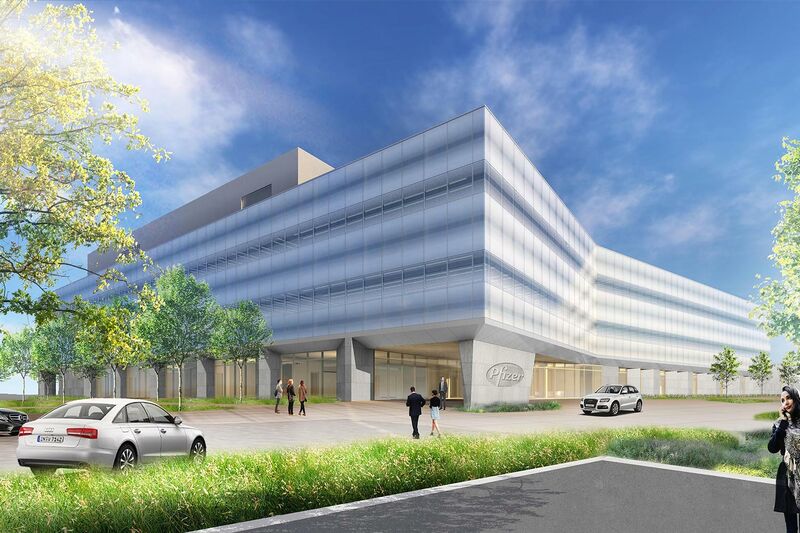 CRG is providing turnkey build-to-suit services to complete the new BioPlace for Pfizer by collaborating with Clayco, the design-builder on the project, for this world-class office and laboratory space. 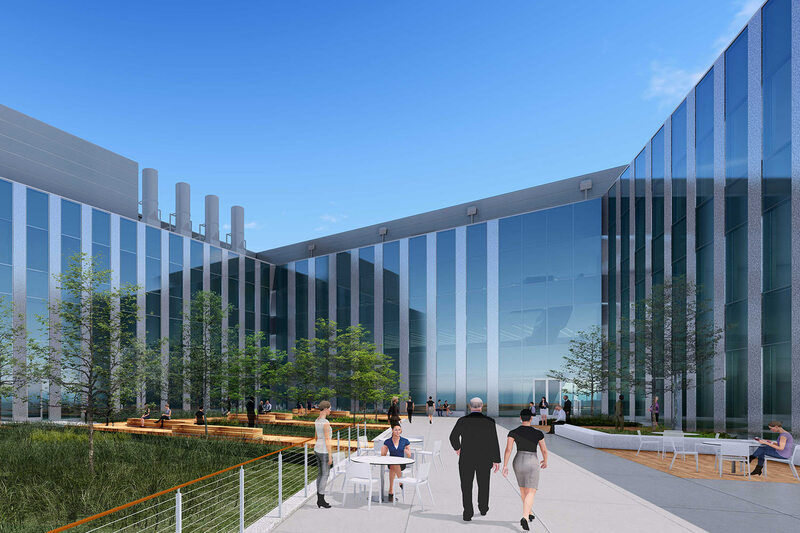 The dual-purpose structure will be comprised of 285,000 square feet of laboratory and office space. 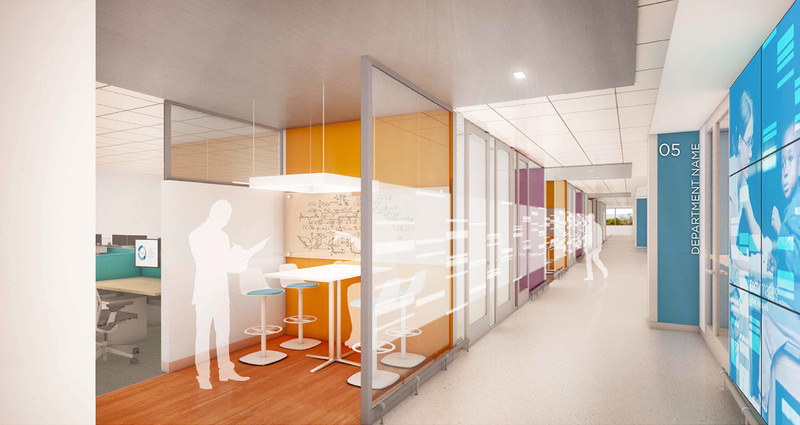 The design partnership of Forum Studio and EwingCole merged the expertise and talents of both firms where the unique combination of both research and development labs combined with office and meeting spaces creates one of the most progressive facilities in the pharma industry. The architecture, landscape design, engineering, interior and lab/process was also designed by Forum and EwingCole. Construction is expected to be complete by mid-2019. 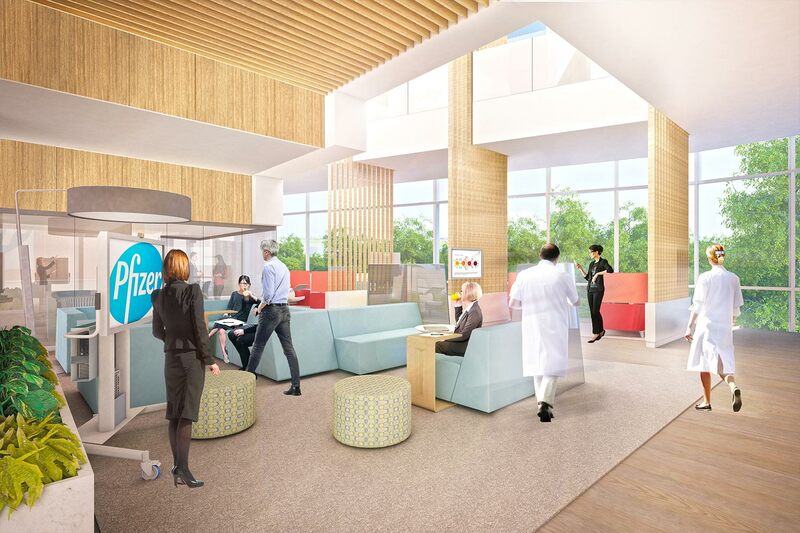 "The collaboration between developers, designers, builders, engineers and the many owner groups is leading to a state-of-the-art facility that will offer the St. Louis Pfizer family a spacious and collaborative environment with great views into the surrounding wooded property and plenty of daylight reaching every interior space."